A renewed Taliban offensive is forcing Washington to bolster Kabul. Fifteen years after 9/11, the conflict has turned full circle. "Now the B-52, with its heavy payload of ordnance, is back at the centre of the United States's air campaign." B-52H Stratofortress bomber over Afghanistan, 2006. Credit: Flickr/Gonzalo Alonso. Some rights reserved.Afghanistan has somewhat fallen off the radar of western media, even though violent conflict there continues unabated. An exception is major incidents such as the ten-hour attack and siege against the American University in Kabul on 24 August, which killed fourteen people and injured many more. This rightly attracted attention as a grim indicator of continued Taliban activity, as did the bombing of a Hazara protest march on 23 July, also in the capital, when eighty people died and 250 were wounded. But other developments in the Afghan conflict, which are barely reported or even ignored by establishment media in the west, can carry much greater significance. So it was this week with a report at the bottom of an inside page of a leading military journal: “B-52 bombers rejoin US campaign in Afghanistan”. There is an echo here of the aftermath of 9/11, when the B-52H Stratofortress long-range heavy bomber was used extensively as a major part of the operation to terminate the Taliban regime and defeat al-Qaida. The aircraft played an occasional part for the next three years, but has now been absent from the scene for a decade as other bombers, including the B-1B, took its place. 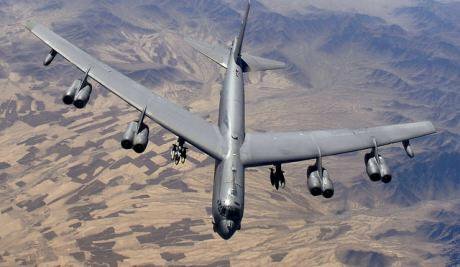 Now the B-52, with its heavy payload of ordnance, is back at the centre of the United States's air campaign. Since April, deployed from the Al Udeid airbase in Qatar, B-52s have conducted more than 325 strikes in almost 270 sorties, using over 1,300 weapons. The historical context of this intense bombardment is telling. When Barack Obama was campaigning for the US presidency in 2008, war-weariness over Iraq was so high that he felt able to argue for a US military withdrawal from that country. But his team saw Afghanistan differently: a Taliban revival and a persistent al-Qaida presence kept alive the 9/11 link. 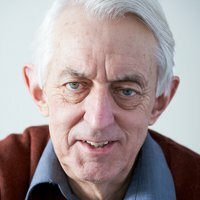 Iraq may by now be the “bad" war, but Afghanistan was still the “good" one. It took more than a year of intense discussion for Obama to reach a key decision: increasing US troop numbers in Afghanistan by 30,000, thus bringing the total to around 100,000. This "surge", it was believed – combined with over 30,000 troops from other members of the coalition – would press the Taliban so hard as to force the movement to negotiate, and accept an agreement giving it no more than a minor political role in Afghanistan's future. The strategy didn't work. By 2012, when Obama was seeking re-election, his administration's aims had narrowed: a phased withdrawal by the end of 2015, leaving just some training units and adequate protection for US diplomats and other personnel. It was hoped that a new technocratic government in Kabul, with Ashraf Ghani replacing Hamid Karzai as president, could secure its position with the help of the US-trained Afghan national army (ANA). As the Taliban extended its control over more and more districts, the far-fetched nature of this plan became clear (which did not stop British prime minister David Cameron using the phrase “mission accomplished” a year before the last British contingent left). By 2015, the Obama administration had reluctantly adjusted its position, agreeing to keep close to 10,000 troops in Afghanistan. It had hoped to halve that number by the time Obama leaves office in January 2017, but events on the ground now render that unrealistic. The Taliban's spring offensive in 2016 has seen it mount military offensives in many different provinces over the past four months, thus going beyond its historically strong areas – the southern provinces of Helmand and Kandahar. Its advance has exposed problems in the ANA, which has repeatedly been saved from defeat only by western air power. More immediately, Washington and Kabul are alarmed at the Taliban's expansion across much of the country, especially Helmand. The pivotal city of Lashkar Gah is now in danger, with the Pentagon announcing deployment of an additional hundred US troops to aid beseiged Afghan forces. The implications of defeat here would be serious, in two ways. The first is that Helmand in general and Lashkar Gah in particular were strategic priorities in the years after the Taliban revival in 2005-06: they simply had to be secured. A return of Taliban control, apart from its symbolic value, would also give the movement an incentive to avoid serious negotiations with the government in Kabul. The second point is that the province itself is the most important single global source of illicit raw opium. Helmand accounts for 90% of total Afghan production. If the Taliban were to extend its influence over most of the province, despite American air and ground support, Washington will have to rethink once more. The likely outcome is another uptick in US involvement, along with pressure on allies such as Britain to do more. An escalation of the war is well nigh certain if Hillary Clinton makes it to the White House, while even Donald Trump would find it hard to withdraw forces and be associated with an American military humiliation in his first months in office. Either way, the news agenda in the months ahead will need to find space for Afghanistan.